It's raw, unscripted, and real. Watch the struggles and triumphs of real people as they aim to elevate their fitness and get lifted. 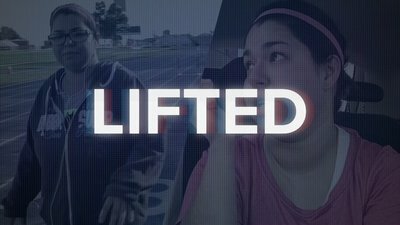 Elevate your entertainment with Bodybuilding.com's original series, "Lifted"! Tune in weekly to follow ordinary people and top athletes looking to take their training—and their lives—to the next level. Learn, laugh, and cheer them on as they overcome their struggles—and inspire you to conquer yours. Having a meaningful "why" behind the reason you're transforming is essential to the process. It gives you a reason to keep pushing, to stay excited, and to forge ahead when times get hard. Today, get to know the Lifted crew and check out the reasons they decided to kick off their transformation journey. It's easy to get started, but day-to-day grind can be tough. Watch as each of these transformees battles balancing real life and fitness—whether that means kids, dinner parties, or time with fur babies. Today, get ready to see the Lifted crew do everything from taking progress pics to facing the challenge of weighing in and winning the struggles of fitting in morning cardio—even when you don’t want to. Life happens—injuries, bad weather, and unexpected events—but that's no excuse. Watch as these transformees break free from the excuses and start putting in the real work. Life doesn’t always make it easy to fit in fitness, but where there's a will, there's a way. Watch as your favorites navigate travel, skip the excuses, and find inspiration—whether in sunny LA or frigid Iceland.